As we head into the new year, we asked you, our readers, about your favorite destinations in Alaska. 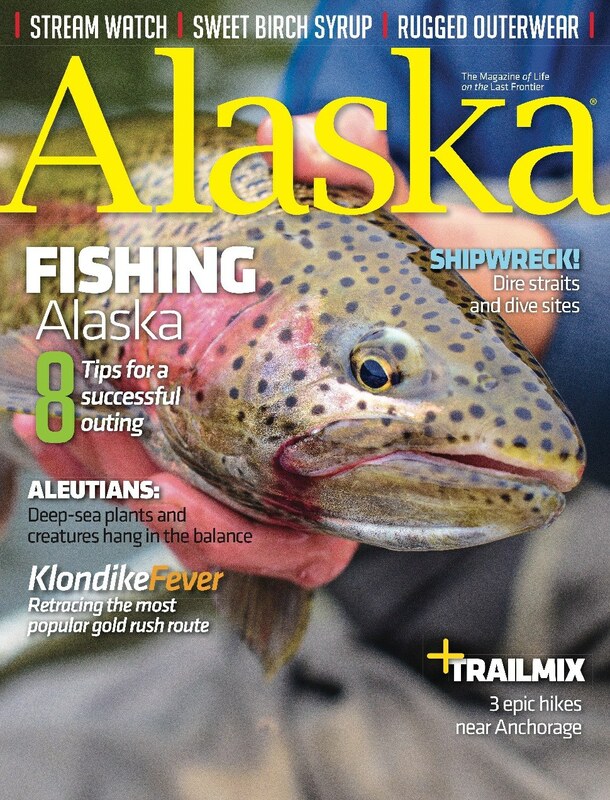 No need to turn to Yelp or Travelocity for reviews—our Facebook poll reached more than 104,000 loyal Alaska magazine followers. We received a few hundred photos featuring everything from the northern lights to bears fishing in Katmai. The results? See below and start planning your vacation to one of these spectacular locations. Seward, a small coastal town 125 miles south of Anchorage, offers visitors the grandeur of Exit Glacier, the serenity of Resurrection Bay and access to breathtaking Kenai Fjords National Park. Whales, sea otters, Steller sea lions, bald eagles and dolphins live and play in the waters around this part of the Kenai Peninsula. Whether you kayak, go flightseeing or catch halibut, you won’t run out of things to do. Coming in at number three in popularity, Denali National Park and Preserve, hosts visitors on six million acres of wild, protected land accessed by a single, 92-mile road. On a clear day, views of Denali become the focal point of photos. The remainder of the time, the park’s moose, caribou and grizzlies, along with Wonder Lake and Reflection Pond vie for attention. Technically, part of Hatcher Pass, this state recreation site was referenced enough by readers to warrant its own shout out. The 360-acre park includes Summit Lake, the result of an old, bygone glacier and a placid kayaking spot for paddlers. Paragliding, hik- ing and berry picking also create opportunities to play among bluffs, alpine wilderness and crystal clear waters, with views of the Susitna Valley and the Alaska Range. More than just home to the Chilkat Bald Eagle Preserve, Haines maintains a quaint, eclectic mountain community air, set apart from the hubbub of Southeast. A confluence of rivers and mountain ranges give it our “most photogenic” award, with the Chilkat, Tsirku and Klehini rivers rippling beneath the surrounding 4,000-foot peaks of the Takshanuk Mountains. A late run of salmon draws bald eagles, along with bears and wolves to the area. If that’s not enough, the Haines Highway is a State Scenic Byway. Glaciers calve on a routine basis in Glacier Bay National Park, leaving the echoing cracks of “white thunder” in their wake. It’s no surprise that the park remains the epicenter of glacier-viewing travel and a top-10 favorite for our readers. Accessed by boat, the park affords those aboard small and large cruise vessels views of active tidewater glaciers including Margerie, Reid, Lamplugh and Johns Hopkins. The Matanuska Glacier has its own website. It’s that popular. On the drive between Palmer and Glennallen, the valley glacier dominates the views from the Glenn Highway National Scenic Byway. Some of you sent us views from the highway and from Matanuska Glacier State Recreation Area paralleling the glacier and the Matanuska River. Others were a bit more ambitious and climbed it. 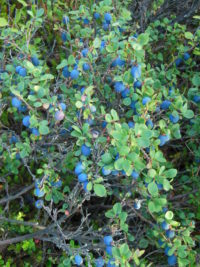 Eagle and Symphony lakes were mentioned as highlights of Eagle River’s South Fork Valley, “especially in the fall,” as one reader noted. A six-mile hike leads through Chugach State Park across the spine of a moraine with the lakes straddling each side. It’s a relatively easy trek with slight elevation gain, and the aquamarine colors of the lakes make the mileage worth it. Plus, the trailhead is just 25 miles from Anchorage. A little farther up Glenn Highway from Eagle River inside Chugach State Park, you’ll find Eklutna Lake Road, which leads 22-scenic miles to its namesake lake. A few comments we received: “Sun on the fall trees and the snowy mountains. Divine,” and “Just magical!” Eklutna Lake proves that not every wild place requires a backpack and solid hiking boots. You can access the Eklutna Lake and campgrounds from the comfort of your own vehicle. From there, you can hike 25 miles of trails, fish, bike, ride ATVs, go horseback riding or boating. Adventures await.